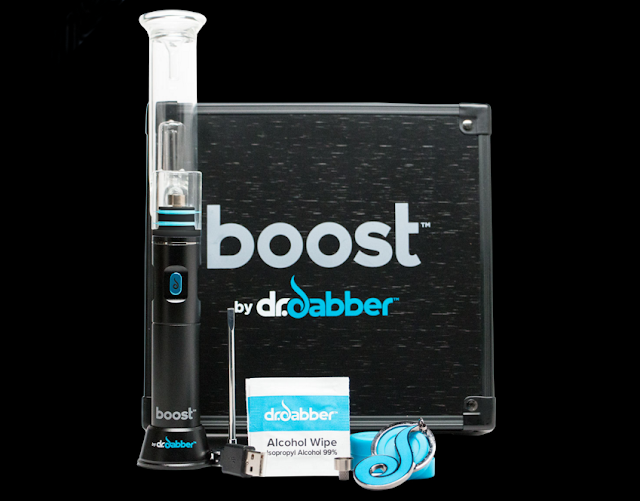 Here we have a new one in the way of reviews, Dr. Dabber has provided me with the Boost, a portable battery powered rig for recreational and medicinal marijuana concentrate use. 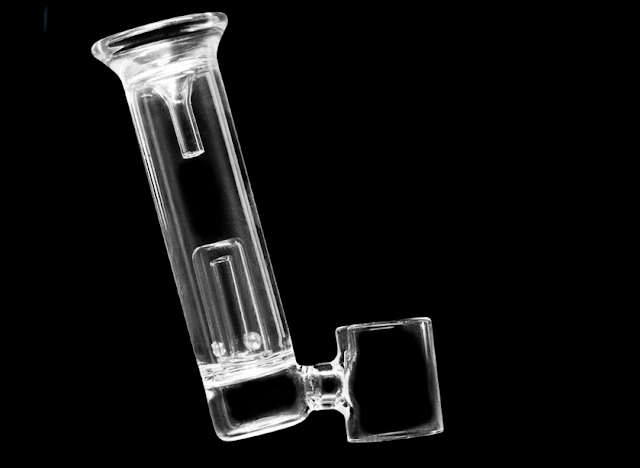 This rig has everything one would need for their concentrate enjoyment in one easy to take on the go case. This kit includes the Boost eRig, glass water attachment, 2 domeless titanium nails, magnetic carb cap and loading too, two silicon containers, charging cable, and a neat little keychain. Now that we have the basics taken care of, it is time to add water, put together, fill it up and see if the Boost is the answer to needing a torch. I have to say this, the Boost is a solid unit and not like the flimsy and cheap devices I have used to take my concentrates on the go. 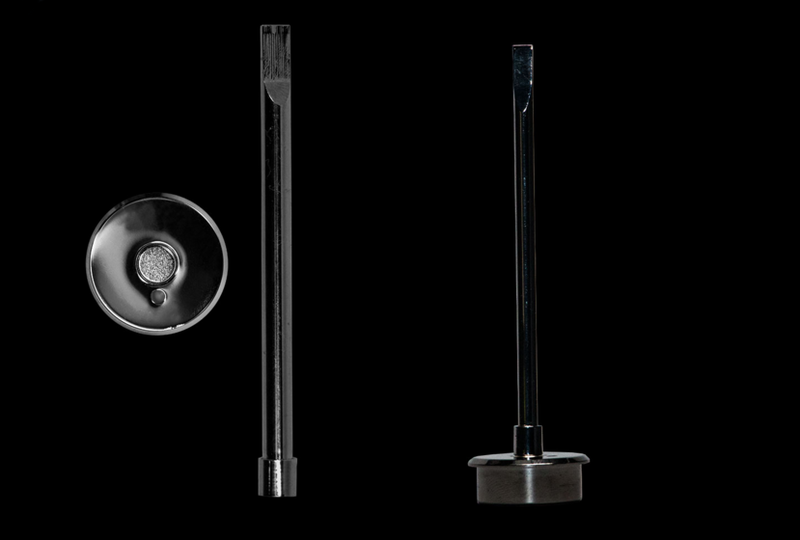 Instead of coils or atomizers that clog, the domeless nail cleans easily and heats evenly. Speaking of heating, my first concern was if the battery-powered unit would get hot enough. 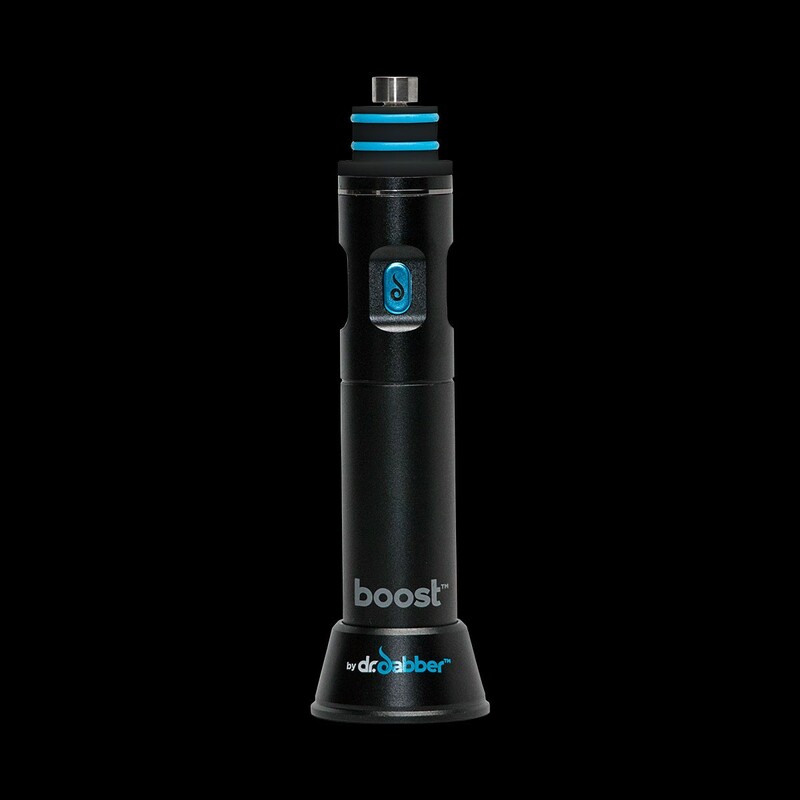 Boost heats up in less then a minute, just wait for the light to turn blue, dab, grab the carb cap, and inhale. A full charge lasts 50-60 uses so I never had to worry about it dying on the go but because it charges via usb, an external battery pack can help in a pinch. The glass water chamber and the magnetic carb cap were my favorite parts to this rig as the glass was a sturdy high quality and the dab tool unclips from the carb cap so I didn't have to worry about getting stabbed in the eye if careless. While it is portable, it is not inconspicuous, at all. This is not a unit to hopefully be used in public in hopes to not draw attention, as it is more of a primary unit or to take camping or group occasions. While I loved the use of the glass water attachment for a smooth draw, the hardest part of my usage with the Boost, filling it to the right point takes a bit of trial and error before I wasn't getting water in my mouth during use. The rig also gets dirty pretty quickly and while the nail and carb cap are easy to clean, the complex glass was awkward to get sparkling clean and requires cleaning more often. Dr. Dabber did a wonderful job with the Boost in providing a solid rig that does away with the sketchy looking torch while still providing the same effectiveness but by battery. From the case to the littlest of accessories, Dr. Dabber provides quite a bit of bang for your buck with a piece you will want to take on the go with everything you need in one little box. The Boost is available online now from Dr. Dabber’s site for $199.95 and if this rig is more than what you are looking for, they have more discreet units with some pretty crazy accessories.